Deferred Action for Childhood Arrivals (DACA) recipient Gloria Mendoza participates in a demonstration in support of "clean" legislation in New York, U.S., January 10, 2018. 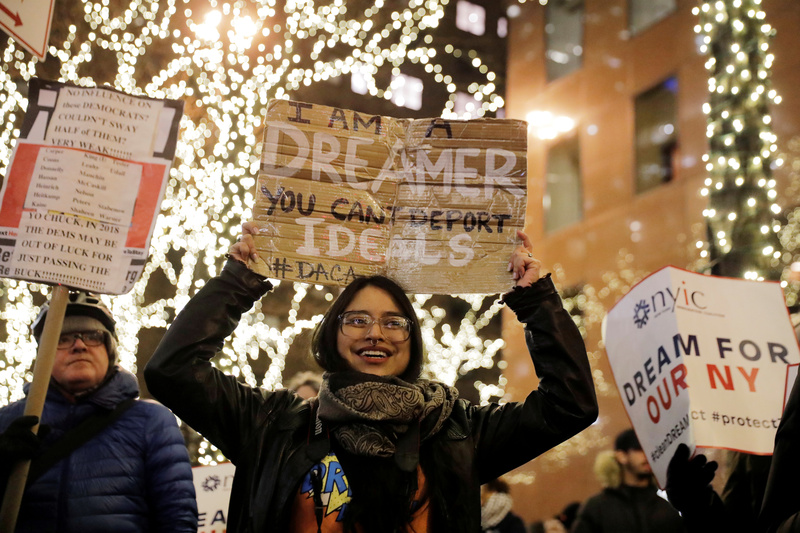 The Deferred Action for Childhood Arrivals program, an initiative of former President Barack Obama that shielded from deportation hundreds of thousands of individuals who entered the country illegally as minors, was scheduled to expire on March 5. The administration of President Donald Trump announced the deadline in September, saying it would give Congress six months to find a permanent solution. Subsequent court rulings have required the government to continue processing renewals for existing DACA recipients. The administration appealed and attempted to take its case directly to the Supreme Court. That body rejected its bid on Feb. 26, meaning the case will now be handled by a lower appellate court.